Join us for a community potluck and an evening of arts and crafts. 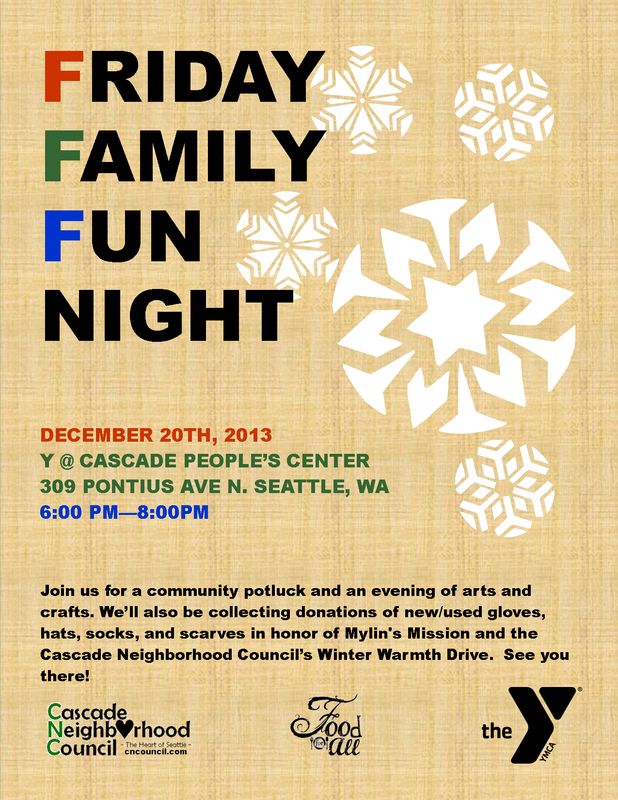 We’ll also be collecting donations of new/used gloves, hats, socks, and scarves in honor of Mylin’s Mission and the Cascade Neighborhood Council’s Winter Warmth Drive. See you there!